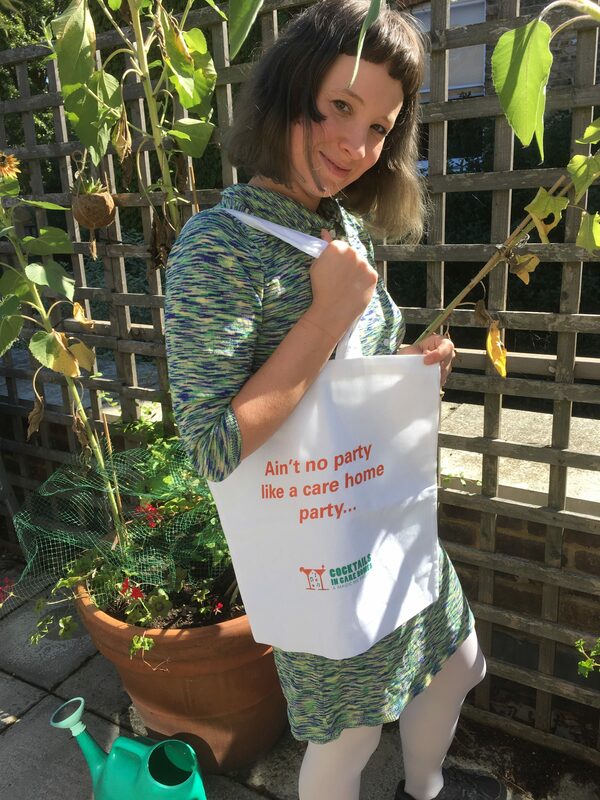 You can now buy this lovely ‘Ain’t No Party Like a Care Home Party’ tote bag (modelled here by Magic Me’s Sarah Watson) as a way of supporting Magic Me. If you join our Friends Scheme we’ll send you the bag (free) as a thank you for your support. Priced very reasonably at £6.95 (plus 69p postage) we also offer an option where you can add a £5 or £10 donation (just use the drop down on the pay pal button below).